When you visit a website and read the information gets to the bottom of the sometimes if we see there is one of the features of the button image upwards arrow of the page of the website, that’s called a scroll top. Scroll Top WordPress function to make it easier for visitors to return to the top page without manually doing her. Make sure “header.php” file inside there <div id =”header”>, usually by default the code is readily available. If the “header.php” file already exists then you input the code given below in the file footer.php and then save. The next step was the last how to make scroll top jQuery script add the css code below into the file style.css from your wordpress theme. 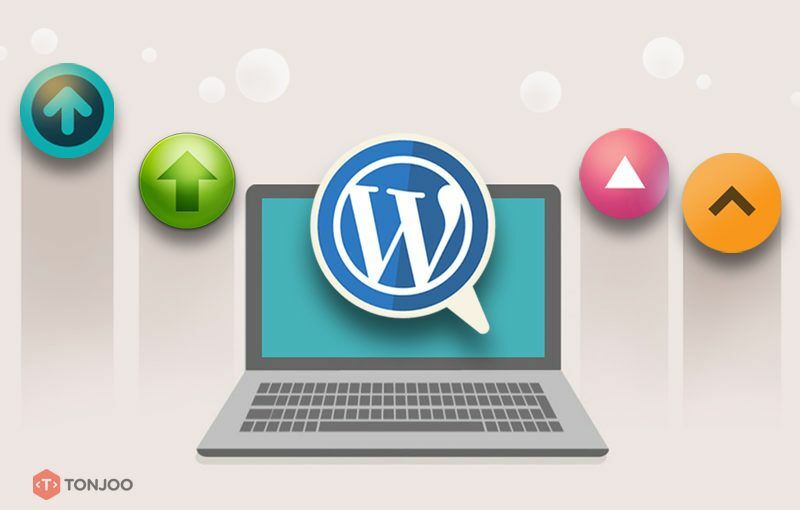 we can create using the help of a wordpress plugin named WPFront Scroll Top. For other arrangements please do according to your needs. Tonjoo is a dedicated WordPress development agency with over 10 years of experience developing WordPress websites, plug-ins & themes for a global client base. Tonjoo’s WordPress plug-ins has been downloaded over 100,000+ times. Tonjoo’s client base includes Indonesian government agencies, SME businesses & an extended list of global businesses. At Tonjoo we are a team of passionate WordPress developers, project managers and strategists based in Jakarta & Jogja (Indonesia).